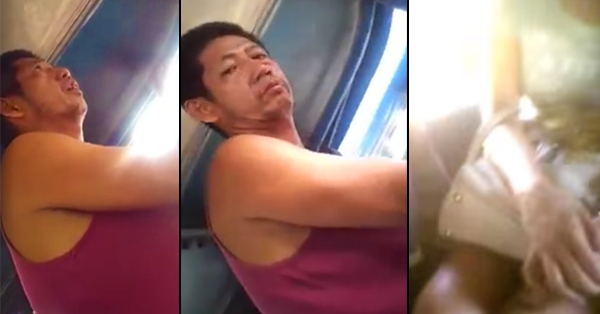 MUST WATCH: A Video Of The Jeepney Driver Who Allegedly Touches The Private Part Of A Woman! Many cases have been reported everyday involving jeepney drivers. A lot of different complaints from the commuters like reckless driving, driving while in the influence of alcohol, robbery and cases such as violence against women. Just like the story of Llacuni Bonifacio, a crew from Jollibee, was violated by the jeepney driver on her way home from Cubao to Litex. You will see in the video below that the driver acted so strange. He was looking at the lower part of the body of the girl. Chris Ray Bonifacio, the brother of the victim uploaded the video. Read his post below. The driver is still unknown and no further reports regarding this incident.